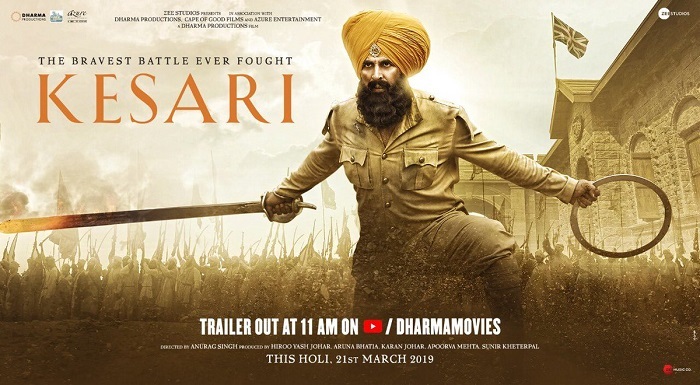 Kesari extended First Week (8 Days) Box Office Collection, Good! Kesari had a good extended first week at box office. Film has collected an approx 105.85 crore nett in first 8 days. Job is done for the week one. Now film needs to do well in week 2. Good news is that Kesari has retained good number of screens for second week running. Kesari added an approx 5.85 crore nett on day 8 (2nd Thursday). Film registered a drop of just around 10% from 1st Wednesday. This is again a better hold after a good 1st Wednesday. Trending of Kesari till the end of 1st Tuesday was strictly decent. However, film remained rock solid on 1st Wednesday and 2nd Thursday. Better hold on day 7 and day 8 suggest that film is in for a long run. It also suggest that film should minimum collect 130-140 crore nett in its theatrical run in India. If film hold strong again on 2nd Friday then film can give a shot at 150 crore nett mark also. By end of 2nd Friday (day 9) we will have a clear idea on the lifetime business in India. Your above mentioned movie are not better than kesri in terms of story, perfermance, but may be in terms of profit. These movie are far better than srks any movie from last many years, salmans maximum movie and amirs TOH in terms of profit, story even somewhere perfermance also.. If SRK does low budget movies like cheap akshay then all his movies will be super hit. Akshay is in different league, can't be compared with khans so media is deliberately putting down khans movies especially paid reviews by taran and other self made critics. Khans will rule for next 10 years, don't worry.